Raven-Symoné Christina Pearman, known professionally as Raven-Symoné or simply Raven, is an American actress and singer. 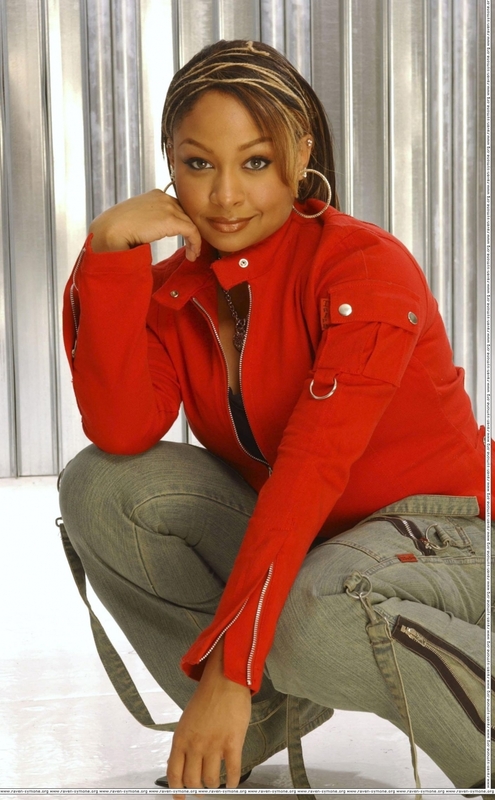 Raven-Symoné launched her career in 1989 after appearing in The Cosby Show as Olivia Kendall. She released her debut album, Here's to New Dreams in 1993; the single, "That's What Little Girls Are Made Of" charted number 68 on the US Billboard Hot 100. The next album, Undeniable, was released on May 4, 1999. Raven-Symoné appeared in several successful television series, such as The Cosby Show and Hangin' with Mr. Cooper, in the late 1980s and early 1990s. From 2003 to 2007, she starred in the Disney Channel series, That's So Raven in which she played Raven Baxter, a psychic teenager who tried her best to keep her psychic powers a secret. 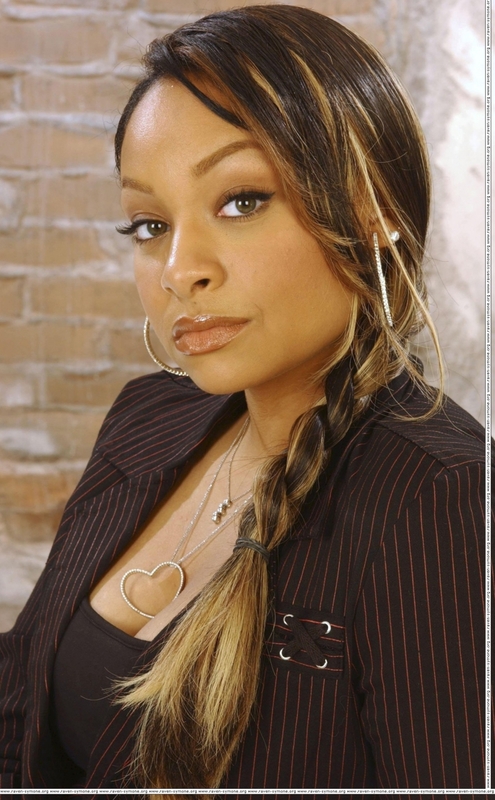 During her time on That's So Raven, Raven-Symoné released her third studio album, This is My Time (2004) which was her best selling solo album to date, charting at number 51 on the Billboard 200. After a year of the end of That's So Raven, she released her fourth studio album, Raven-Symoné (2008). The album peaked at number 159 on the Billboard 200. During 2003 to 2006, she participated in four soundtracks from Disney, RIAA-certified double-platinum album, The Cheetah Girls (2003), RIAA-certified gold album, That's So Raven (2004), That's So Raven Too! (2006) and RIAA-certified platinum album, The Cheetah Girls 2 (2006). The soundtracks sold a combined 4.1 million copies in the U.S. alone. As of April 2008, Raven-Symoné has sold 314,000 albums in the United States. 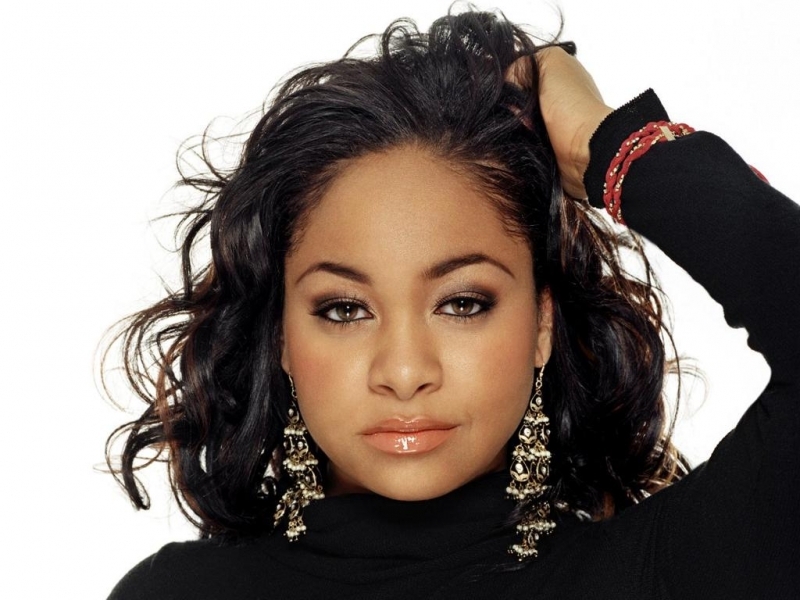 Raven-Symoné transitioned to a film career, starring in several films aimed at young audiences, including Dr. Dolittle (1998), Dr. Dolittle 2 (2001), College Road Trip (2008), and successful television films, including Zenon: Girl of the 21st Century (1999), The Cheetah Girls (2003), its sequel Cheetah Girls 2 (2006), For One Night (2006), Revenge of the Bridesmaids (2010). Raven has also lent her voice to the animated series Kim Possible, for the character Monique and films such as Disney‘s Tinker Bell. In 2011, Symoné starred in the short-lived ABC Family comedy series State of Georgia as Georgia Chamberlain, an aspiring actress with a huge ego who moves to New York City to try her hand at an acting career. In 2012, Raven-Symoné ranked number eight on VH1's "100 Greatest Kid Stars Of All Time" list, and ranked number one on Loop21's "10 Richest Black Actresses Under 40" list. Raven-Symoné was born in Atlanta, Georgia to Lydia (née Gaulden) and Christopher B. Pearman. 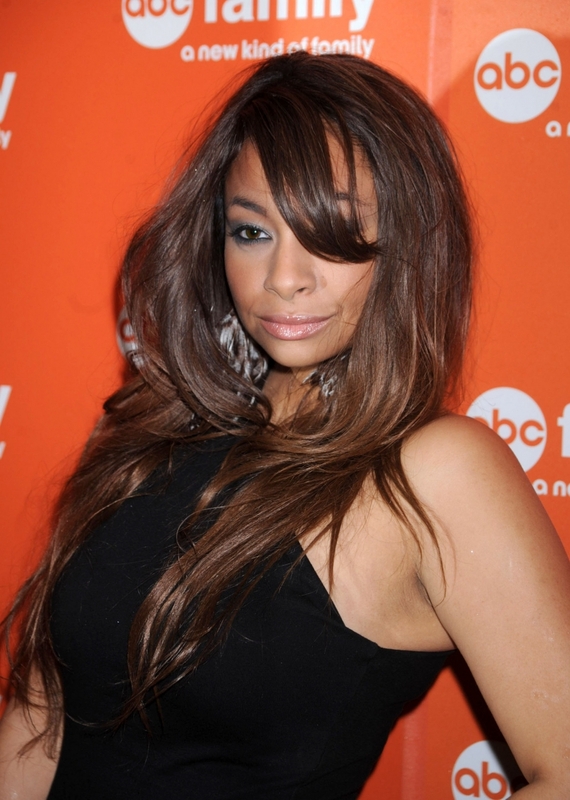 Raven-Symoné is African-American. As an infant, she worked for Atlanta's Young Faces Inc. Modeling Agency and was featured in local print advertisements. At age two, she worked with Ford Models in New York City and appeared in ads for Ritz crackers, Jell-O, Fisher-Price, and Cool Whip. At age three, her family moved to Ossining, New York where she attended Park School. 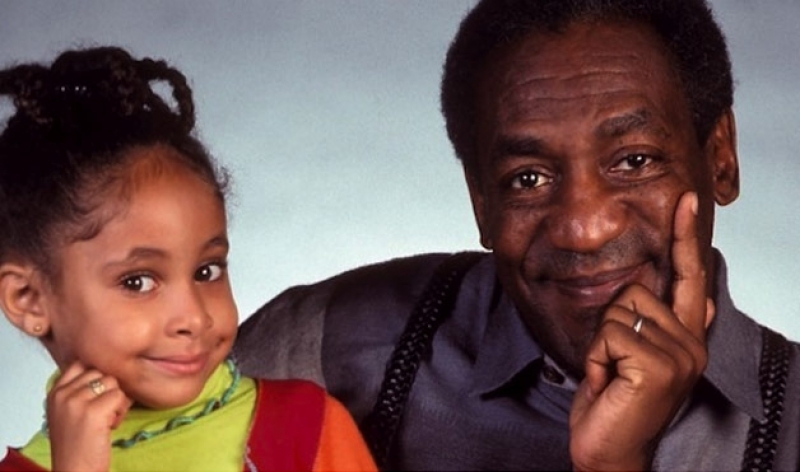 In 1989, Raven-Symoné auditioned for a part in the Bill Cosby movie, Ghost Dad. At three years old she was considered too young for the role, but Bill Cosby liked her so much that he found a part for her on his show, The Cosby Show, as his step-granddaughter Olivia. She made her debut in the premiere episode of the show's sixth season, and remained until the series finale in 1992. She then appeared as the younger version of Halle Berry's starring character, a headstrong biracial slave, in the TV movie Queen: The Story of an American Family, based on the book by Alex Haley. In 1992, Raven-Symoné began her singing career at the age of seven, when she signed with MCA Records. She spent that year and the next taking vocal lessons from Missy Elliott. Her debut album, Here's to New Dreams, was released on June 22, 1993, which spawned two singles: "That's What Little Girls Are Made Of" and "Raven Is the Flavor". "That's What Little Girls Are Made Of" reached No. 68 on the Billboard Hot 100. The album however was not successful, and due to low sales she was dropped from MCA Records in 1995. The album sold over 73,000 in US. In 1996, Raven-Symoné and her father founded RayBlaze Records, in which she signed a distribution deal with Crash Records for her second album Undeniable, which was released in May 1999. The album sold over 2,000 in US. The album yielded one single: a cover of Stevie Wonder's "With a Child's Heart". To support the album Undeniable, she went on tour as the opening act for fellow Jive artist 'N Sync's The 'N Sync Tour in 1998/1999. In 1993, one year after The Cosby Show ended, she landed the role of Nicole Lee on the show Hangin' with Mr. Cooper. She made her debut in the third episode of the show's second season, and remained until the series finale in 1997. In 1994, During her time on the show (Hangin' with Mr. Cooper), she had her first big screen role in the movie The Little Rascals, playing Stymie's girlfriend. The Little Rascals had a hit performance at the box office, earning $67,308,282 worldwide during its theatrical run. In 1999, she won her first major role in theatrical movie, she was cast in the Eddie Murphy comedy Dr. Dolittle, as Charisse Dolittle, the oldest daughter of Murphy's character. Dr. Dolittle had a hit performance at the box office, earning $294,456,605 worldwide during its theatrical run. In the same year, she also appeared in Zenon: Girl of the 21st Century as Nebula, her first production under Disney. In 2001, she was cast in the sequel Eddie Murphy comedy Dr. Dolittle 2 as Charisse Dolittle, the oldest daughter of Murphy's character. Dr. Dolittle 2 had a hit performance at the box office, earning $176,104,344 worldwide during its theatrical run. In the same year, she participated in two episodes of the comedy series, My Wife and Kids as Charmaine, Claire's pregnant friend, her first production under ABC. 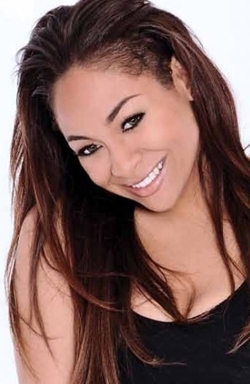 In 2002, Raven-Symoné was given the voice role of Monique on Kim Possible as the best friend of Kim Possible. She had a recurring role, as she was featured in all seasons of the show, and participated in the two films for the series, Kim Possible: A Sitch in Time (2003) and Kim Possible: So the Drama (2005). In 2001, Symoné auditioned for a role on an up-coming series for the Disney Channel titled Absolutely Psychic, about a teenager with psychic abilities. She actually auditioned for the recurring role of Chelsea Daniels, but her role was changed to the lead character Raven Baxter and the series name changed to That's So Raven. The series debuted on January 17, 2003 and ended on November 10, 2007, becoming responsible for many firsts for Disney Channel including becoming the channel's highest-rated and longest-running series at 100 episodes (until it was surpassed by Wizards of Waverly Place in October 2011). The title character draws on her talent, ingenuity, psychic powers and a variety of disguises to get in and out of amusing adolescent and pre-adolescent situations. It spawned a franchise including soundtracks, dolls, episode DVDs, and video games. That's So Raven was nominated for Outstanding Children's Program during the 2005 and 2007 Emmy Awards. That's So Raven, was the first Disney Channel series to have four seasons and 100 episodes. Merchandise has earned to date $400 million. The show also launched the channel's first spin-off series, Cory in the House. In 2003, Raven-Symoné recorded the classic Stevie Wonder, "Superstition", as the main theme for the film, The Haunted Mansion. She signed a deal with Hollywood Records, a Disney-owned label. The film soundtrack, The Cheetah Girls, debuted at No. 33 on the Billboard Top 200 and is certified for Double Platinum sales by the RIAA for sales of 2 million copies, was the second best selling soundtrack of 2004, behind Shrek. The following year, she released a five-track EP with Hollywood Records on January 1, 2004 prior to the release of This Is My Time, containing "Backflip", "Bump", "Overloved", "What Is Love? ", and "Mystify". Released to promote the full-length album, the EP was only available in select stores and is now very rare. On September 21, 2004, she released her third studio album, This Is My Time, which included the single "Backflip", which received heavy rotation on Disney Channel, and premiered on BET via an Access Granted special. This Is My Time debuted at number one on the U.S. Billboard Top R&B/Hip-Hop Albums chart and at number fifty-one on the official Billboard 200, with moderately successful first week sales of 19,000 copies (best debut in the chart to date); making it Raven-Symoné's first album to enter the chart in the United States. It was in the top 100 for thirteen weeks, selling about 235,000 copies up to February 2, 2007, according to Nielsen SoundScan. The four songs from the album were incorporated into soundtracks from Disney films: The Lion King 1½ ("Grazing in the Grass"); The Princess Diaries 2: Royal Engagement ("This Is My Time"); Ice Princess ("Bump"); and Go Figure ("Life Is Beautiful"). In the same year, also recorded music for That's So Raven's first original television soundtrack. The soundtrack debuted and peaked at No. 44 on the Billboard 200 and is now certified Gold by the RIAA for sales of 500,000 copies. In 2003, she starred as lead singer Galleria Garibaldi in The Cheetah Girls, a Disney Channel Original Movie about four city girls who dream of becoming superstars. The movie was the channel's first musical and was the basis for another franchise, including dolls, video games, platinum-selling soundtracks and more. The film also starred Adrienne Bailon as Chanel Simmons, Sabrina Bryan as Dorinda Thomas, and Kiely Williams as Aquanette Walker. The film was directed by Oz Scott, and produced by Grammy-winner Whitney Houston. It attracted more than 6.5 million viewers opening night, making it (at the time) Disney Channel's most-watched movie and most highest-rated Disney Channel of 2003. In 2004, during her time on the show (That's So Raven), Raven-Symoné provided the voice of Danielle in Fat Albert. It had a moderate performance at the box office, earning $48,551,322 million worldwide during its theatrical run. She made an appearance in The Princess Diaries 2: Royal Engagement as Princess Asana, during which she sang a duet with Julie Andrews. It was her first film with Walt Disney Pictures. It was also a hit performance at the box office, earning $134,734,481 million worldwide during its theatrical run. The sequel television film, Zenon: Z3 a Disney Channel Original Movie, included Raven-Symoné as Nebula Wade, reprising her role. On opening night, the sequel brought in more than 1.3 million viewers. The same year, after the unexpected success of the film and the film soundtrack, a pilot episode of The Cheetah Girls was recorded for the channel ABC. It was never picked up as a series due to her not being able to be in two series at the same time. In 2006, Raven-Symoné starred in her first dramatic role of her career. The drama, For One Night, was based on a true story. Its premiere was on February 6, 2006 with the station Lifetime Movie Network. She starred as Briana McCallister, inspired by the true story of an African American teenager who shook up a small town where high school proms had been racially segregated for decades. During this time, she also disengaged from the Disney Channel. In the same year, Raven-Symoné continued her role in The Cheetah Girls 2, The film was directed by Kenny Ortega and produced by Grammy-winner Whitney Houston. Raven-Symoné served as executive producer of the film. The film brought in more than 8 million viewers opening night, making it (at the time) Disney Channel's most-watched movie and most highest-rated Disney Channel of the year 2006. Later that year, she provided her voice for Marti Brewster in, Everyone's Hero, which was distributed by 20th Century Fox, and released theatrically on September 15, 2006. Everyone's Hero had a moderate performance at the box office, earning only $16 million worldwide during its theatrical run, but the film was not released in several major countries. Symone recorded music for That's So Raven Too! 's second original television soundtrack. The soundtrack debuted and peaked at No. 44 on the Billboard 200 and selling about 200,000 copies up to April 2007, according to Nielsen SoundScan. The album contains five new songs written and sung by Raven, includes hit single, Some Call It Magic, friendship songs like "Friends" with Anneliese van der Pol, there's also collaborations with Orlando Brown for "Little by Little" and Kyle Massey for "Let's Stick Together". The film soundtrack, The Cheetah Girls 2, debuted at No. 5 on the Billboard Top 200 and is certified for Platinum sales by the RIAA for sales of 1.3 million copies. This soundtrack contained three unreleased songs their soils and seven other songs as part of the group The Cheetah Girls. After the success of Raven's third album, This Is My Time (2004), Crash Records sold their rights to the material on Undeniable to TMG Records, who in cooperation with RayBlaize and her then-current label Hollywood Records, re-released it on October 31, 2006 as, From Then Until. The re-release included the music video for "With A Child's Heart" as well as some behind-the-scenes footage and live performances. The album sold over 8,000 in US. In support of her third studio album and That's So Raven Too! soundtrack, which was the second soundtrack album from the series. Raven-Symoné embarked on her first headlining tour. The This Is My Time Tour kicked off on May 19, 2006 in Richmond, VA and concluded on October 21, 2006 in Columbia, SC. In 2008, The Cheetah Girls: One World began production, however Raven-Symoné did not return for another film, citing "territorial issues" and "catfights" on the set of Cheetah Girls 2, which led to a strained friendship with the other three actors. In a later interview, Adrienne Bailon, Sabrina Bryan and Kiely Williams denied the rumors, saying they all get along well. In 2008, Raven-Symoné starred in her first leading role. The comedy College Road Trip surrounds Melanie Porter a 17-year-old college-bound girl who is eagerly looking forward to her first big step towards independence, when she plans a girls only road trip to check out prospective universities. But when her overbearing police chief father (Martin Lawrence) insists on escorting her instead in hopes to sway her decision, soon finds her dream trip has turned into a nightmare adventure full of comical misfortune and turmoil. In its opening weekend, the film grossed approximately $14,000,000 in 2,706 theaters in the United States and Canada, ranking as the No. 2 film at box office. It went on to gross more than $60,000,000 worldwide. Her fourth studio album Raven-Symoné was released on April 29, 2008. The album features production by Sean Garrett (Beyoncé), The JAM (Leona Lewis), Knightwritaz, and The Clutch (Timbaland, Ciara). The only single released was "Double Dutch Bus", a cover of Frankie Smith's 1981 funk track. The single was released to radio on February 9, while the video was released on February 18, 2008. The album debuted at No. 159 on Billboard's Top 200. To promote the album she planned to headline her first all-arena tour "The Pajama Party Tour" in Spring 2008, but due to what promoters call "unforeseen difficulties" the tour was postponed until further notice. Later on, Raven-Symoné confirmed that the tour would be re-scheduled and would kick off in the Summer of 2008. The tour now dubbed the Raven-Symoné: Live Tour kicked off in July 2008, and continued through 2009. During her 2008 Summer tour, it was officially announced that after completing her two-CD deal with Hollywood Records, she would not renew her contract with the label. Since 2008, Raven-Symoné has provided her voice to the character of Iridessa the light-fairy as apart of the Disney Fairies franchise and direct-to-DVD Tinker Bell film series. Raven also appeared in Chris Rock’s 2009 documentary Good Hair. In 2010, Raven-Symoné starred with Joanna Garcia in an ABC Family, made-for-TV film, Revenge of the Bridesmaids. Revenge of the Bridesmaids surrounds two childhood friends who attempt to thwart the wedding of a no-good, money hungry ex-friend by going undercover as bridesmaids so that true love can prevail. The film garnered 2.5 million viewers on its premiere, making it the number 1 movie on basic cable in women 18–34, and ranked among the Top 5 programs in its time period in Total Viewers that week. She also made a guest appearance on the Disney Channel Original Series Sonny with a Chance alongside Demi Lovato. She portrayed the character Amber Algoode, the president of Chad Dylan Cooper's fan club. She was a guest performer, along with pianist Chau-Giang Thi-Nguyen, and jazz trumpeter and pianist Arturo Sandoval, at the December 9 performance of Debbie Allen's new dance-theater piece, The Hot Chocolate Nutcracker, at UCLA's Royce Hall. Proceeds from the performance, as well as from its run from December 10–11, benefited the children of the Debbie Allen Dance Academy. In 2011, Raven-Symoné starred in her first television series in four years as the main character of ABC Family's multi-camera comedy pilot State of Georgia. The project, from ABC Studios, centers on her character named Georgia, an exuberant and curvy performer from the south who is trying to make it big as an actress in New York City. The pilot was written by author Jennifer Weiner (In Her Shoes) and Jeff Greenstein (Desperate Housewives). The series premiered in June 2011. The season concluded August 17, 2011 with twelve episodes, and ABC Family cancelled the show on September 16, 2011. On January 31, 2012, it was confirmed that the actress will be in the Broadway musical Sister Act as Deloris van Cartier, marking her Broadway debut in a lead role. Her run started on March 27, 2012. Her contracted final performance will coincide with the closure of the show on Broadway on August 26, 2012. 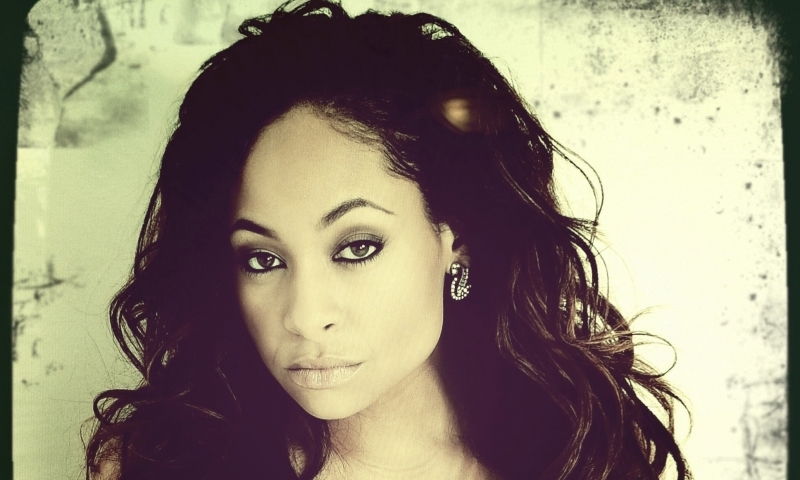 In late 2009, Raven-Symone announced that she would return to the studio to record her next album She said that the album will be "R&B, most definitely.....with an alternative base for the lyrics". She said, "It's good to go out there and spread your wings and find new talent and work with people you haven't worked with before. I'd love to find the next Timbaland or the next someone who's coming up and no one really knows yet. At the same time, I'd love to work with the Clutch and the J.A.M. again". In January 2011, she told to OnTheRedCarpet.com that she has been working on her fifth album. Da Beat Kadetz formerly known as The TriGz may be working on the project, with Manny Streetz (from Da Beat Kadetz) as executive producer. Raven revealed to Billboard that she would like to work with Sean Garrett again and that it will be R&B with an "alternative base for lyrics". In an interview with Broadway.com in March 2012, she confirmed that she has no plans to release a new album, saying that she "couldn't quite get it together" and that the music she had been working on "wasn't going to be something sellable." She added that the album "might come later in life when I'm able to say what I need to say." Regarding her sexual orientation, Raven-Symoné wrote on Twitter in May 2012: "My sexual orientation is mine, and the person I'm datings [sic] to know. I'm not one for a public display of my life." In August 2013, Raven-Symoné commented on legalizing gay marriage, "I was excited to hear today that more states legalized gay marriage. I, however am not currently getting married, but it is great to know I can now, should I wish to".